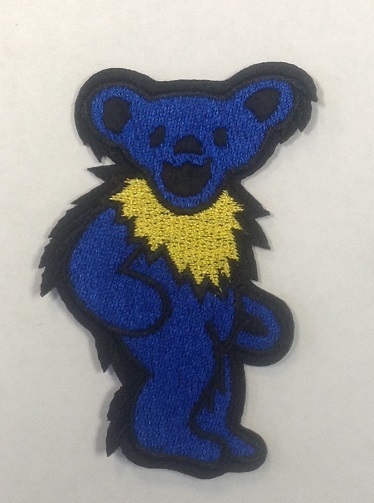 This Grateful Dead patch is a blue dancing bear with a yellow collar. Embroidered patches can be ironed on or sewn on. Officially licensed Grateful Dead merchandise. Approximate size is 3 1/4" .